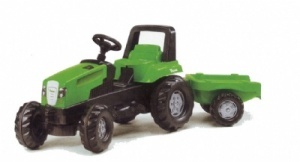 VIKING Junior Trac Childrens tractor with trailer, suitable for children approx 3 years. 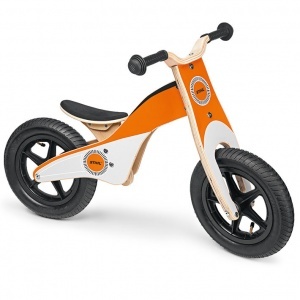 This is a balance bike for children aged between 3 and 6 years of age. Made of birch plywood, it has an adjustable seat and a maximum weight of 30 kg. 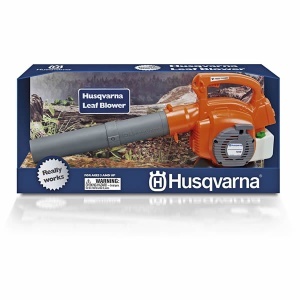 A fantastic battery operated children's toy, this leaf blower makes a realistic noise and even blows air through the nozzle when you pull the trigger. An ideal birthday or Christmas present. 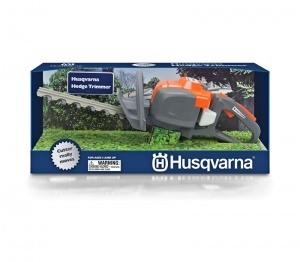 Ideal as a gift for birthdays or Christmas, this is a battery operated children's toy based on Husqvarna's hedge trimmer machinery, featuring realistic operating noise and even moving plastic blades. 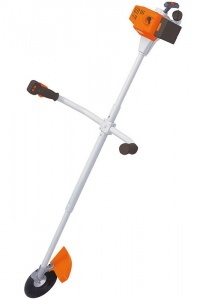 This battery-operated brushcutter, suitable for children aged 5 years and over, has authentic clearing saw noise with volume controls and an adjustable length, from 86 cm to 107 cm. 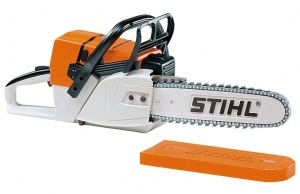 A great gift for children aged 3 and up, STIHL's battery-operated toy chainsaw boasts authentic chainsaw noises and adjustable volume, with a revolving rubber chain. Includes batteries. This is a children's baseball cap, a fantastic gift, and is made from 100% unbrushed cotton. 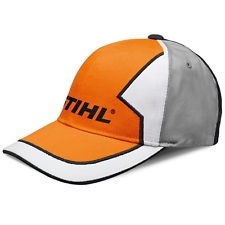 It has a STIHL logo embroidered on the front panel, as well as on the metal buckle. 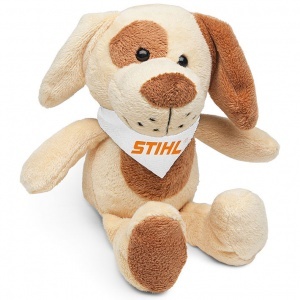 The STIHL dog soft toy sports a white neck scarf and is a cuddly gift for any young child. With an approximate length of 21 cm. 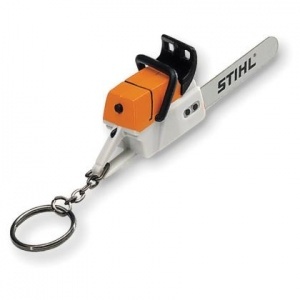 A fantastic gift, this STIHL chainsaw keyring even has sound effects, and comes with batteries included.